Teeeellit is a simple and straightforward app to help you having real conversations ! 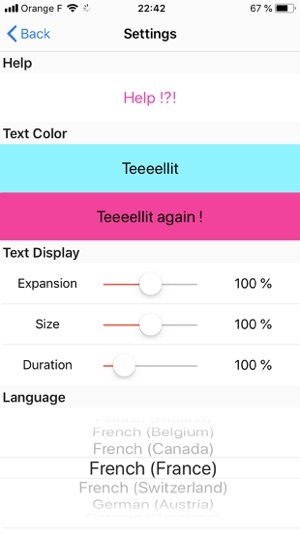 Teeeellit ergonomics has been designed to help you catch words and sentences the best way for you according to your preferences of characters' size, duration and display so that you focus more on your exchanges and less on reading. - Activate the micro with the "mic" associated icon, and stop the transcription with the same icon. - Choose the infinite mode or not with the "infinite" associated icon. Infinite will never stop listening and transcript (in this mode, set your mobile preferences with no saving energy to keep the screen active). 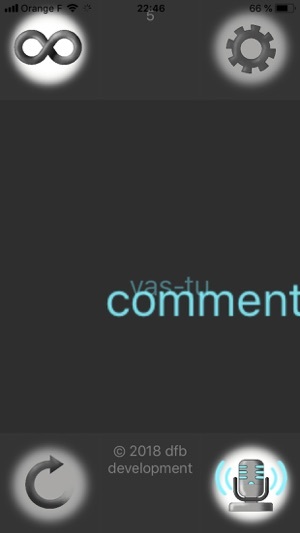 - Replay the last sentence with the "round arrow" associated icon. Replay can be a better transcription as the AI model has more time to listen. - Choose the settings with the "toothed wheel" associated icon. - Select, above all, the language of your conversation ! Ask your counterpart to talk calmly to get the best transcription (if possible, use the earPods's mic). Install your mobile on landscape orientation for best display. 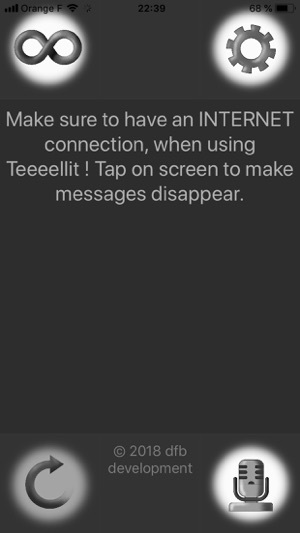 Teeeellit needs an Internet connection as it uses Siri technology to transcript. Be tolerant with Teeeellit as it makes its best to help you. If you feel lost, just tap the screen to erase all and get started again. No data is stored, neither used by Teeeellit.